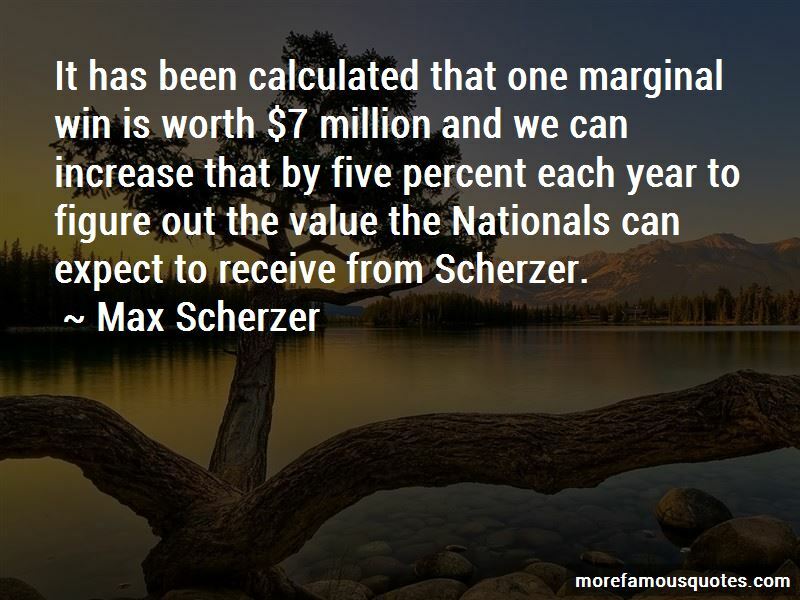 Enjoy the top 4 famous quotes, sayings and quotations by Max Scherzer. I'm aware of the luck in [BABIP], but at the same time, you can't directly influence it. 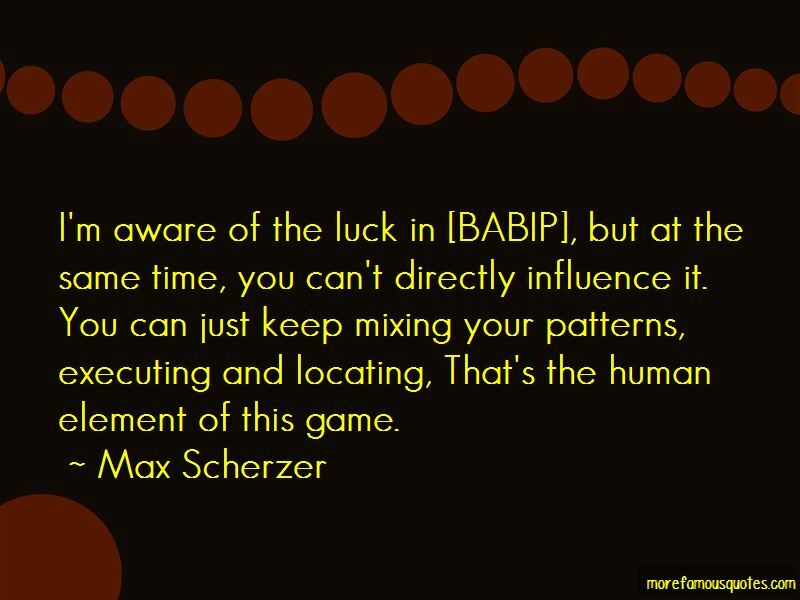 You can just keep mixing your patterns, executing and locating, That's the human element of this game. 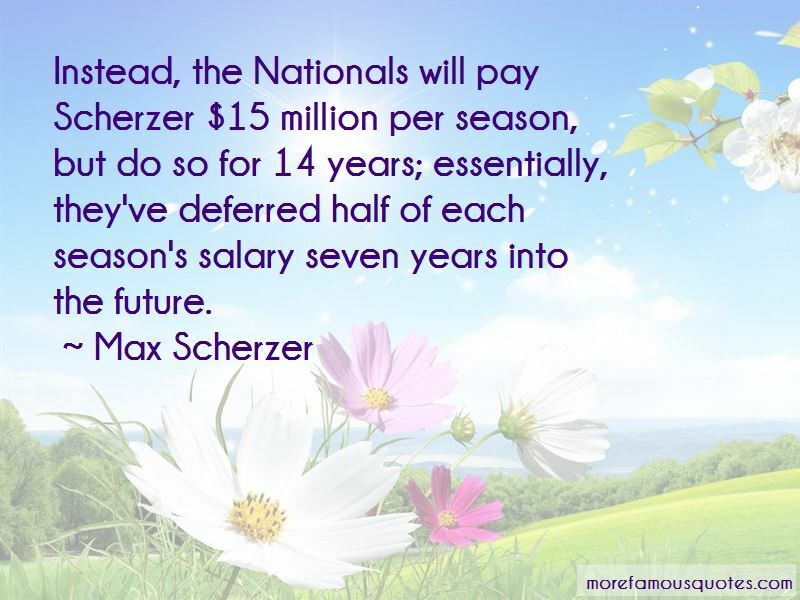 Instead, the Nationals will pay Scherzer $15 million per season, but do so for 14 years; essentially, they've deferred half of each season's salary seven years into the future. Want to see more pictures of Max Scherzer quotes? 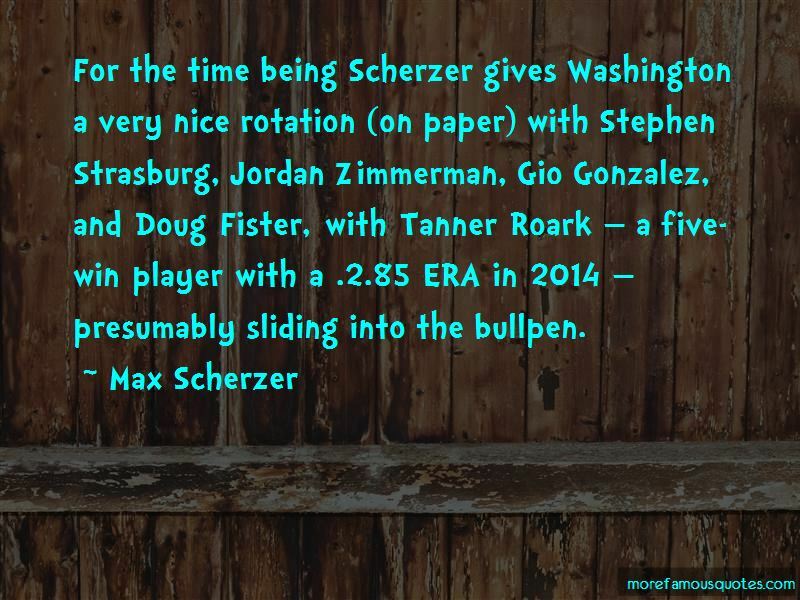 Click on image of Max Scherzer quotes to view full size.